When a woman is in a mess, she needs no words, no questions, and no explanations. 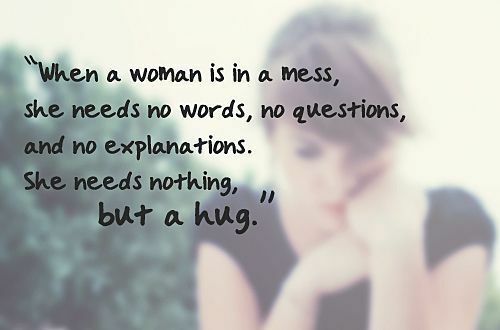 She needs nothing, but a hug. The physical love and affection we share sometimes can speak way more than a thousand words. When we show our loved ones affection we are showing them a multitude of things. We are showing them how much we care for them, and love them, and that we will protect them. We are also showing them that we will be there for them in times where they will need us the most, and at times that matter the most. Showing affection isn't just limited to holding someone. 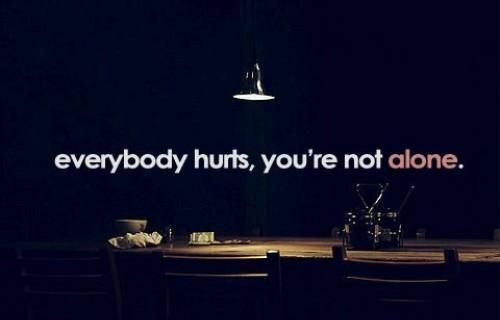 Everybody hurts you're not alone. Did you know that stress is the leading cause to more than half of the illnesses many of us are plagued with around the world that are life threatening? There are many causes to stressors in our every day lives, and one of the most common places that we stress in is our own work place. 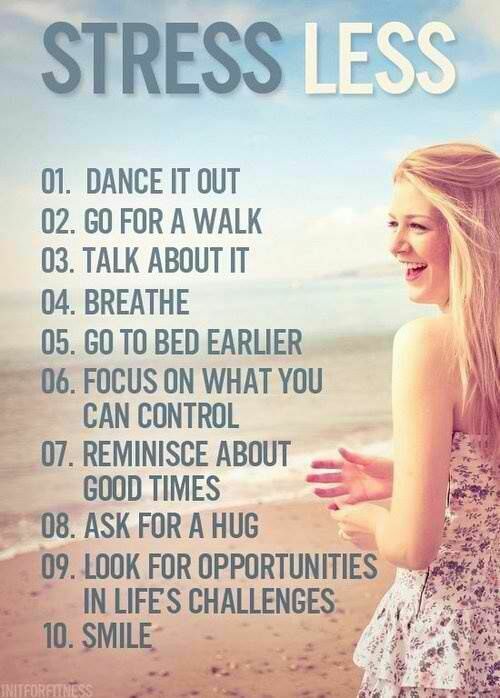 Next time you're stressed, take a step back, inhale and laugh. Be strong, love yourself, and love others. 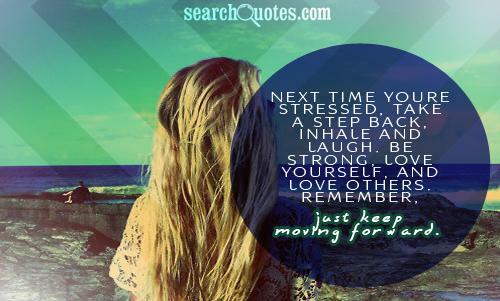 Remember, just keep moving forward. Did you know that stress is the leading cause to more than half of the illnesses many of us are plagued with around the world that is life threatening? There are many causes to stressors in our every day lives, and one of the most common places that we stress in is our own work place.